"I could not have raised the $1.5 million or made this film without the materials you provided!" "Best Investment We've Done for Our Company,"
"Great Tools for writing a business plan"
"Such a Useful and Complete Information Guide"
"Crash Course in Film Financing"
"When I came across the Business Plan Tools and the Finance Guide, I felt like I could stop searching for the pot of gold...I'd found it"
We can create the best Film Investment Tools to help everyone realize their dreams, but only with your help! We love any and all feedback on our Film Investment Tools. Tell us - are you a new or experienced Filmmaker? How did you use the Business Plan information? Suggestions and feedback ALWAYS welcome! Learn how our Movie Investor Package will help you completely rethink film financing and teach you to turn your ASK upside down into an OFFER!!! I've just spent 20 minutes going through the materials I purchased with Package #3 and I already know it is going to be a huge help in getting me to the next stage in my producing career. I can't wait to dive in and start creating my first business plan. I’ve now worked with it for a few weeks and thought I’d let you know what I think. I liked it a lot. The format is well organized and professional looking and much of the text is worthwhile. I also chatted with your rep on line before hand and they answered my questions very well which allowed me to move forward with the purchase with confidence. It is a pity the the MPAA reports are not available until April. Thanks for putting together what appears to be a very useful package, and the website has a ton of great info too. Thank you for this package, it is extremely useful as I am gearing up to meet several potential investors in the following weeks. The manual is filled with useful information and teaches the way to communicate in business terms. It is the first time I come across such a useful and complete information guide. The templates will help me tremendously and save me much time which is always needed. I now feel much more confident going to these meetings! Exactly what I was looking for. As a 30 yo money and finance guy looking for specific tools for the film industry... this more than fit the bill. I am excited to hear all the success that Filmmakers are having with Film Proposals.com Investor Package. I just ordered package #3 with 7 FREE Bonuses and I cannot wait to dig into it! WHOO-HOO!! For years, Melissa at Filmproposal.com has provided high-quality products and services that have helped launch innovative creative content companies, and products. Developing creative entrepreneurs will gain a perspective on preparing, and structuring a cinema content business. Seasoned professionals will find Filmproposals.com a reliable source of "Up-to-Date" information and insight reflected in the tools, tips, and perspectives Melissa's company offers. In all, FilmProposals.com delivers a consistant level of quality, and value well managed. The information is clear and easy to understand, and Melissa is very prompt in answering emails. This is fantastic. I am confident having this awesome tool to present our film proposal to investors. Easy to follow and implement to our film project. We highly recommend it. We recently purchased your film proposal program and we have found it to be one of the best investment we've done for our company. We want to proceed with the business plan review and gather your feed back! Great Tools for writing a business plan the first time! 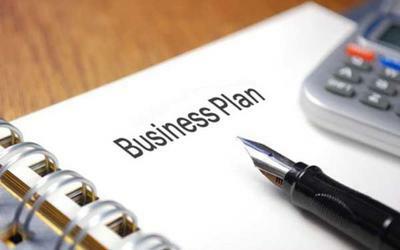 The Business Plan Tools gives you a great starting point for writing your truly professinal business plan before you go out to seek funding for your film. A no-brainer for newbies and low level of experience producers who wanna take the next step. An amazing set of incredibly helpful templates, guide books, advice. The best $99.00 I have spent in a very long time. Congrats FilmProposals!! Wow!! I just purchased the Finance Film Package #3. It is really good. I am an experienced Film Producer and I have been trying to get financing for 3 years for my film Smoke E.Z. I need $8,000,000. After 3 years I gotta take the plunge and get some professional tools to get the investors to give money for my film. I don't $10,000 for all of this to be done, so I have the challenge to do it myself. This is a really good package to buy if you are looking to finance a film over $5,000,000. Thank you for the Film Financing Package #3 (with the 7 bonus items). The content is substantive, professional, organized and immensely useful and practical. I've been promised this sort of material in the past from other resources and it's NEVER been this comprehensive. Kudos to you! After much research on the subject, we chose the FilmProposals.com Package #3's business plan and financial templates, which we are already putting to good use for our new film production LLC, "Take Us There Films." Also included in this package were several documents filled with helpful hints and good, solid advice that's sure to bring in the investments that will make our company successful. I highly recommend subscribing to your newsletter and checking out the blog. Your website itself is filled with invaluable information. I could not have raised the $1.5 million or made this film without the materials you provided! Just want to thank you for your materials and help over the past year. Just finished post on our $1.5 million picture "Coming Through the Rye" with Alex Wolff and Chris Cooper. I could not have raised this money or made this film without the materials you provided -- and for $99? The bargain of my career! - James Sadwith, Producer, Writer, Director "Coming Through the Rye"
I just bought this Business Plan Tools but I thought it will include a draft for investors agreement for the investors which I can´t find. Please be kind to tell me it it includes something I can use to sign with my investors. Hi: I just stumbled across your site looking for film industry forecasts. Wow. It took me two seconds to download your income projection spreadsheet. I will look into your other services as I am putting together my business plan. An absolute gold mine for the independent filmmaker. Do yourself a big favor and order today!!! Great stuff. Lots of great nuggets with these packages in a world full hard to find, hidden and secret information! Thanks! 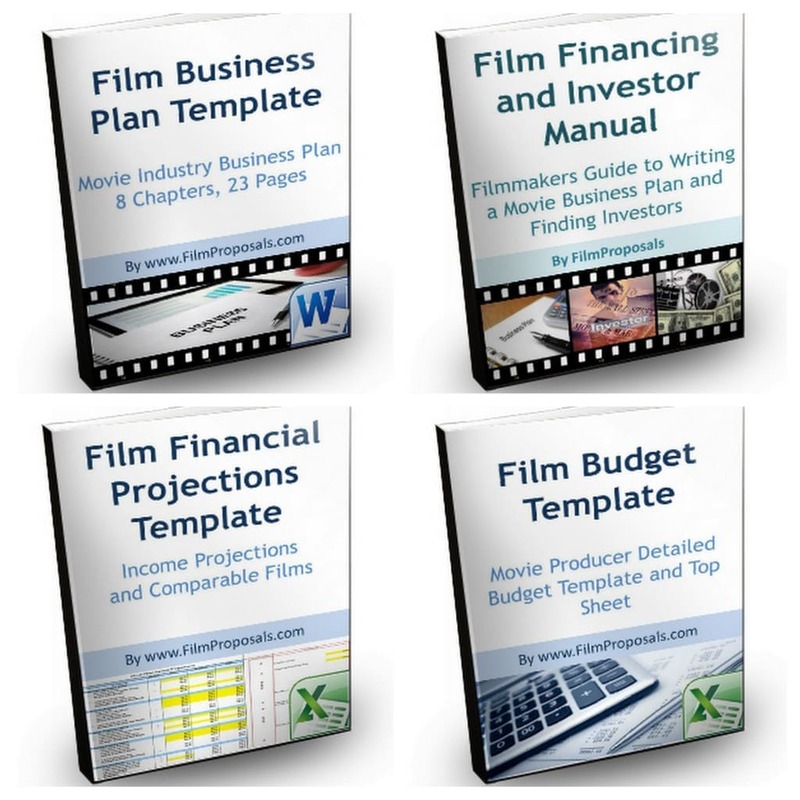 I purchased the financing manual, the film projections template, and the business plan template package for $99 and it was exactly what I was expecting! Great purchase and incredibly fast delivery. The documents were exactly what I was looking for! Highly Recommend to purchase this package as it does come with everything you may need to structure your rough business plan draft! It's exactly what we were looking for. The package is very clear, simple to use and includes all we need to prepare a very good business plan. This package is a great material to my career!! Hello, I purchased your package and I am delighted with it! It has saved me time, shown me the light and illuminated the WAY. I am well on my way, a few months after receiving this information towards producing my FIRST Feature! Thanks a million! information and templates provided have spared us from hours of research. Thank you. This package is very useful. Very educational and saves tons of time researching and building plans and projections from scratch. I would highly recommend this to anyone trying to raise money for an independent film. I’ve been out of the industry for a lot of years and venturing back means I have to update and polish my knowledge. When I came across the Business Plan Tools and the Finance Guide, I felt like I could stop searching for the pot of gold ... I’d found it. In one place, with clear, easy to follow materials and spreadsheets, my questions were answered. It still depends on me and what I do but the blueprint is all there. Thanks. The Film Proposals package is more than worth the money! The business plan is very complete, and easy to modify to your specific needs. FilmProposals.com has thought of everything. It's time to make a movie! Really like the automatic spreadsheet, the main reason I purchased your package. I also like the proposal layout and will use it for private investors. I'm actually prepping a film for AFM and am using a little bit of a different proposal for that, but the charts are fantastic and a real timesaver. Thanks again! I really think you have done an amazing job putting together this package and it brings me great relief knowing that I can consolidate all the information and paperwork into one clean and professional package. Melissa, the unlocked version really helped a lot. Now I can work in other numbers such as Number of theater screens, P&A Interest, tax incentive/rebates, loan interest, and revenue splits with investors. I hate Excel, so this is very useful. A great jumping off point and confidence builder. I found the business plan template and film financial comparison table a great starting point. Reading through the Film Financing Manual I gained a lot of confidence that reinforced my own ideas. I ended up taking the bits I wanted and customizing other sections to create a condensed and concise 11 page business plan, backed up by a whole lot of figures and data. In the US economic slump I found investors were looking for alternate investments with high yield - my Film Investor Brief was perfect! Suggestions for FilmProposals - I wish I had known earlier you can unlock and edit formulas and format. I ended up copying what I could of the Excel spreadsheet and customizing it. I also linked it to a cash-flow graph which is a great visual tool for less savvy investors who just get lost in the data. The package provides an important template that helps structure the business element of film making. For the longest time I stared at the screen that was to be my self developed "business plan"...to no avail. Then I found your Manual and Template and your software not only gave me the critical elements that any investor might be looking for but also helped me organize the many facets of the process. More than creating a film "implementation" path, it also helps create a shared vision with other shareholders. One suggestion for FilmProposals to complete this vision might be sample agreements between producers and investors or creatives and producers. The nomenclature of Hollywood accounting/investment has changed over the years and a guide to industry terminology would be helpful. Overall a great tool for the Independent. I am still in the midst of writing our business plan, and keep referring back to this website after purchasing the Film Financial Projects template and Film Business Plan template. Not only do both continue to be the right tools (after researching A LOT and seeing others out there) but the website resources are extremely helpful as well. I like having the template to follow, but also know that film business plans are different than regular business plans. That makes the task seem very daunting, especially gathering the financial data needed to plead your case to investors. By far that is the toughest part, so having the financial template makes it a lot less scary to tackle. Other than this site, which I keep coming back to, I have also found Louise Levinson's book "Filmmakers and Financing" to be extremely helpful. There is a samples business plan in the book, but the Film Proposal business plan template is much easier to follow and a better guide. Levinson's book is a great resource for WHY each section of the business plan needs to be a certain way, but I use the Film Proposal template for actually writing the plan. I found your software to be exceptionally useful for me in helping to define the financial aspects of making and potentially profiting from a film. Having worn many different hats in the entertainment business over the years I finally decided to seek out a great project and then get it financed. As a first time Executive Producer I found your software first to be great for helping me understand film financing and second helping the various investors who we have been pitching to better understand their risks and potential rewards. I would certainly recommend this software to anyone thinking about seeking financing for films. I came here from a search, and I was drawn to the Film Projections Template and the possibility of opening it up to change text cells and add a few lines for my distribution channel needs. By the way, in my projections not all the outcomes are golden, and that adds to my respect for the template. I purchased the whole set. There is quite a bit of information to digest, and even after spending about a year and a half doing research and gathering information,there is quite a bit in here that was very helpful and that will be utilized, not only in the short term, but the long term as well. I would like to see some additional alternatives, as well, to represent the changing landscape of this industry. (For example, web series, internet marketing revenues, and some of the emerging technology.) These can be modified to account for these with little effort, but would be curious to see if there might be a different or better way. I can truly say that the support with any technical question or concern was addressed in a timely manner. I really appreciate Melissa taking the time to work with me because I am not computer savvy. The Film Template did all the work for the Budget I had to submit in my Business Plan. It's Great!! The customer service and Business Plan Template provided by Film Proposals is great! I screwed up and downloaded the template, which is great, but my partner already had already purchased it and had it in place on another project. They were prompt in providing me the 100% refund with no questions asked. Both the proposal for indies and the template for profit projections proved to be invaluable tools in putting together my proposal package for the film I am presently developing. This Would Have Saved me $2,000. Absolutely Essential. Hi - Seth Hymes from Film School Secrets. I'm an NYU Film Grad and Independent Filmmaker. Several years ago I hired an attorney to help me draft a business plan and Private Placement Memorandum to raise money for a film project called "Breaking Balls". Using those documents I raised $30,000 from private investors. A friend recently referred me to filmproposals.com and I realized I could have saved myself $1,000-$2,000 in attorney fees by using this software! The information here is extremely valuable to an independent filmmaker looking to present themselves in a professional, compelling manner to potential investors. These kinds of documents do get results. And it offers information and training I didn't even get in a top film school. I only wish I had known about FilmProposals earlier! These products are very very good and also the customer assistance is very quick. by: Business Plan - Best money I ever spent! I'm now sending out my completed business plan/film proposal document to potential investors and the one comment I'm getting back almost immediately is that it's so well laid out and professional. Believe me, first impressions really do count. When someone sees that you take your business seriously, they're much more likely to take you and your projects seriously. I had no idea it was feasible to get a handle on film finance myself and was really inspired to see I don't have to be a writer hawking scripts until I die. I can actually make my film! I was also inspired by how much information is out there to facilitate first-time film making, and how much FilmProposals is on top of this information. I am an independent producer preparing projections for investors. I found your program one of the few available online that is actually useful, so I hope you are making a fortune with it. Vastly exceeded my expectations for the price. I wish I'd found you before I started spending all that time looking for film info on the internet. You would have saved me dozens of hours (and I'm worth at least a dollar an hour, ha)! I actually think these products could be used for any type of business plan, not just film. There's a lot of film stuff in there, but the template could easily be used to write another type of biz plan. You probably want to contact a lawyer as many of the details laid out in the plan are for a very specific type of structure and there are many ways to structure the deal. Based on the content I saw there's no reason not to use the recommended lawyer in the package. Seems like this is well thought out. The Film Proposals Financing Package #3 I purchased contains a plethora of information to help the filmmaker overcome the most common hurdle of making a movie...money. I found all the material to be very useful, well laid out and easy to get through. There was very little "filler" and there was a lot of great information. Highly recommended. I have produced commercials, documentaries and corporate videos but never Indie films. With only 19 pages including the cover, contents page etc., the manual is thinner than expected. On the other hand, the concise manual does deliver and provide all the necessary information, tools and resources I need to create my first film proposal with confidence. I am also grateful that they so graciously replaced without charge a previous version of the manual which I deleted by accident. I just purchased your, Film Proposals Financing Manual Item# FPMan. And it is not what I was expecting at all. I want my money back. It says on your website, 7 day money back guarantee. Please... $29 for a 19 page manual what a rip off. Thank you for your help in this matter. FilmProposals Response - Lori, we are happy to provide a refund (and have done so). We post these comments here to show we are not hiding anything, but that all feedback submitted is published. However, I'm not sure what else we can do - except make the Manual longer? Was there specific information missing? How can we make the manual better, besides making it longer? True business people like concise, factual documents - no FLUFF - and that is exactly the design of our Film Proposals and Financing Manual. We apologize if you thought another 100 pages would provide you more valuable information - based on our experience, that is not the way a Film Proposal works. Join in and write your own page! It's easy to do. How? Simply click here to return to Business Plan Tools for Film Testimonials.